Bowl to raise money for the Florida Apartment Political Action Committee! 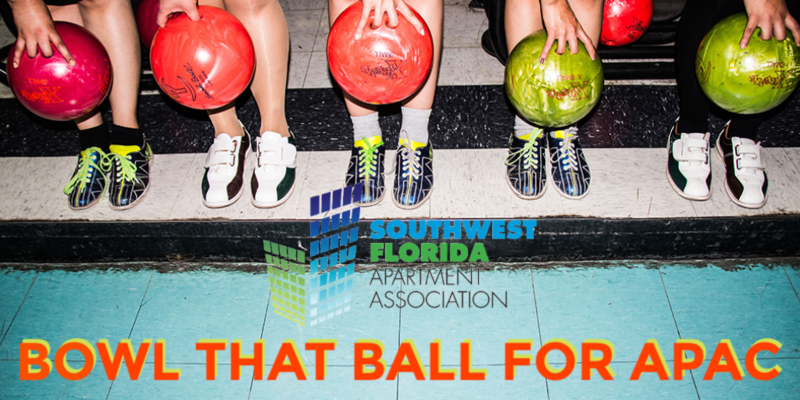 Costumes, food, drink, contests and bowling to raise money for the Florida Apartment Political Action Committee! TO BE DETERMINED... SHARE YOUR IDEAS! Fun, food, great prizes, bowling balls and shoes included! SPONSORSHIPS AVAILABLE AT $400 PER LANE! • Logo on all printed & electronic marketing materials! • Logo on big screens at end of the lanes! • Logo on electronic score board for your lane! • One complimentary event ticket! • Bring all the marketing goodies you like! CLICK ON REGISTRATION OPTIONS ABOVE TO RESERVE YOUR LANE!